William Hill is a global operator with various markets outside of the US. For American players this means that with William Hill in the US you can be guaranteed that you will be able to bet on various games and different markets at good odds. William Hill New Jersey allows you to place bets on the Australian Football. This calls for a closer look at what William Hill offers its punters in Australia. Australia offers a wide range of racing, sports, lottery and other wagering opportunities. Considering the size and scale of William Hill globally, it is no surprise than William Hill Australia has the ability and capacity to offer markets on international events in several categories. The benefits of dealing with a company as large, and diverse as William Hill become quite apparent, when considering the products being offered into the Australia market. I will attempt to summarize those products and features below. 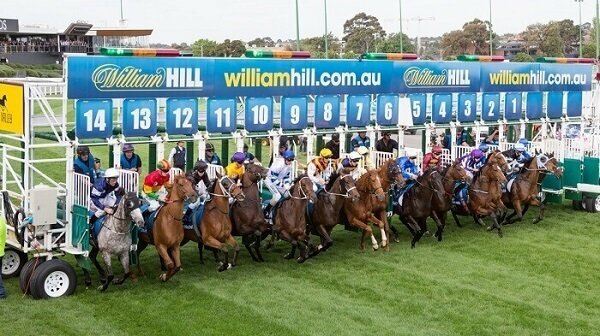 William Hill Australia is one of the best Australian providers as far as racing products are concerned, with deep and broad offering across horse racing, greyhound racing and harness racing. In addition to covering all Australia meetings, William Hill Australia also offers markets from countries such as USA, UK, Japan, Ireland, Chile, Canada South Africa and others. A wide array of bets is available including Win, Place, Exacta, Quinella (standard, boxed and standout), Exacta, Trifecta and First Four. Exotics such as Jockey Challenge, Head to Head, Runner vs Field and many others are also available. William Hill Australia is clearly at the forefront of bet selection in the racing category. William Hill Australia has developed a user friendly and efficient feature that facilitates the creation and execution of multis which can result in large windfalls for diligent punters. This tool calculates the odds and offers layouts and cost metrics as well which makes it invaluable for the serious multi punter. William Hill Australia offers a “Best Tote” on selected Australia thoroughbred meetings. This feature means that you will available receive the best odds available from the 3 Australian Totes. Basically, by betting with William Hill Australia, you will always end up with the best of it as far as the winnings odds paid out goes. The difference to your bottom line such an advantage offers is significant and material, and will of course result in more money in your pocket at the end of the day. The ‘Best Fluctuation’ feature is available on most metropolitan meetings when betting with William Hill Australia. This feature guarantees the bettor the highest price fluctuation of their selected runner. Bets eligible for this feature must be placed 30 mins prior to the race starting though. William Hill Australia also provides a free live streaming service on many meetings. This free feature allows customers to enjoy bets on lots of racing that they would otherwise not had access to. There is nothing like watching your selection power home in real time. William Hill Australia provides extensive markets for sporting matches and events. They cover a broad and deep offering of all the sports you expect including, soccer, basketball, cricket, rugby league, rugby union, American football, tennis, boxing, ice hockey, baseball, golf and the UFC. A pleasant surprise to discover that William Hill Australia also offers wagering is events such as darts, handball, netball, motor sport snooker, surfing and others as events come around each year. Don’t forget, a William Hill promo code is always of extra benefit to new customers. The bets available in these sports markets are wide and diverse that include individual match results and season wide outcomes. Drilling down on any individual match in a popular sport will yield many exotic markets that allow users to bet on almost anything they can imagine. Lots of fun for any sports enthusiast. In addition to a massive selection of sports from all around the world Willian Hill Australia also offers special bets around outcomes of political elections, movements in financial markets and winners of entertainment awards such as the Oscars and Golden Globes. A product of interest to me is the section dedicated to betting on what is called E-Sport. This product basically offers markets in various computer game leagues around the world, where players compete against each other for cash prizes. There are several of these professional leagues around the world and William Hill Australia takes bets on various outcomes of those individual matches, but also outcomes of the leagues themselves. 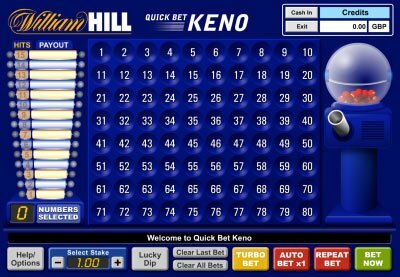 William Hill Australia offers a game called Rapid Keno, which is basically a variation of the KENO game available in clubs and pubs all around Australia. Rapid Keno is based on the New York Keno Draw and runs 24 hours a day. There is a draw every 4 mins and you can play as many games as you want. Users pick 10 numbers is if they are lucky enough to match them to 10 of the numbers drawn, they win 1 million dollars. The winnings can go as high as 10 million dollars as Willian Hill allows users to bet on a multiple of anywhere between 1 and 10. A product which really surprised me is the Planet Lottery section of William Hill Australia. Here, punters can bet on dozens of lotteries around the world. Like me, you have likely heard the amazing stories of people in the USA winning jackpots worth hundreds of millions of dollars. I have never come across a way to get access to those jackpots until now with William Hill Australia. The prize pools for the American and European lotteries are so much larger than what we have here in Australia, primarily because the populations are so much larger. William Hill Australia has now given all Australians the opportunity to participate in these massive prize pools and hopefully take-home winnings never seen before in this country. William Hill Australia offers live betting on selected markets. This feature greatly increases the enjoyment of watching our favorite sports. 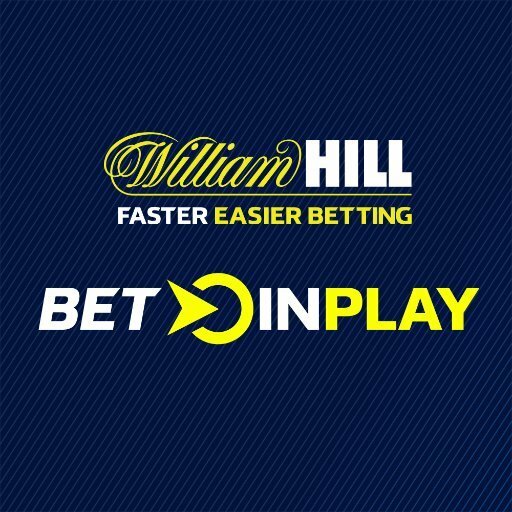 The ability to place reactive bets in real time as the dynamic of the event changes in front of us is something that William hill does very well. Overall, I must say that William Hill Australia has both the capacity and the desire to offer as many options for customers as possible, making their offering world class. The constant development of new and exciting features that help punters make informed decisions is refreshing for the Australian market.